Furthermore, the press release also unveiled that The Surge will have dedicated PS4 Pro enhancements. Specifically, users may choose between a quality mode (dynamic 4K@30FPS mode) and a performance mode (1080P@60FPS) thanks to a free update on launch day. High Dynamic Range (HDR) support will be added with a second update a bit after the release. At Gamescom 2016, Deck13 told us that they were targeting a native 1080P resolution on PlayStation 4 and 900P on Xbox One, just like most games. Moreover, the game should last between 15 and 25 hours depending on the amount of side content completed. 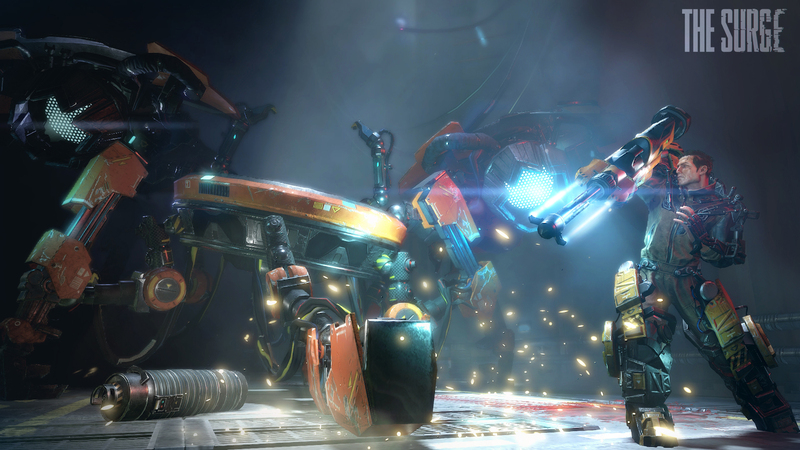 The Surge is a game with an unusually honest approach to its design. Although it unapologetically uses Dark Souls as its primary source of inspiration, The Surge is filled with an array of new features that build upon an impressive foundation. If it can keep the impressive atmosphere, brutal combat and intriguing inventory manageable, The Surge might make an admiral series in its own right.